bluesCENTRAL is Central Illinois’ blues dancing community. We are a bunch of super-friendly people who love blues dancing, and want to spread the love and joy of dancing to all who will join us. We are a 501(c)3 not-for-profit organization. Our mission is to conduct and promote the teaching, learning, appreciation, and practice of blues dancing and its African-American vernacular dance heritage. 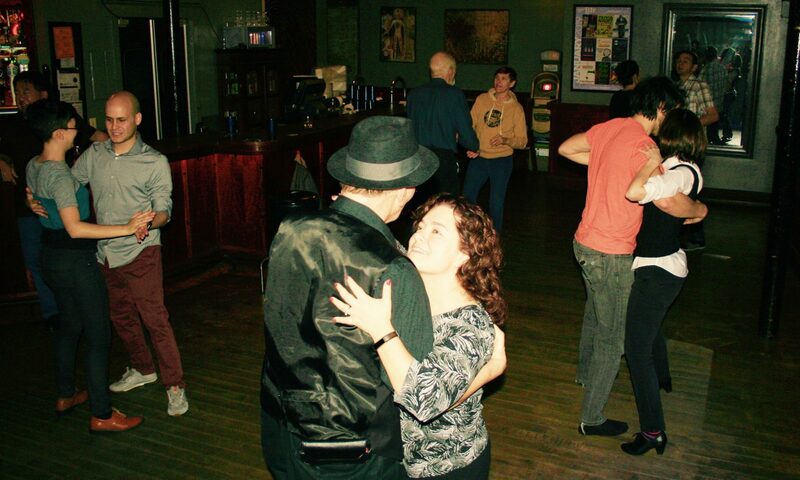 We host a FREE weekly lesson and dance at Guido’s Basement Bar on Monday evenings. We also produce SnowMELT Blues, our regional blues dance weekend workshop. Our calendar page and email list are two easy ways to stay informed of bluesCENTRAL events and other chances to dance. Inclusion, consent, and respect for everyone are important values at bluesCENTRAL, and we practice them as part of our Etiquette Guide and Safe Spaces Policies. If you have questions, or to get in touch with us for any reason, email dancewithus@bluescentral.org. Thanks!